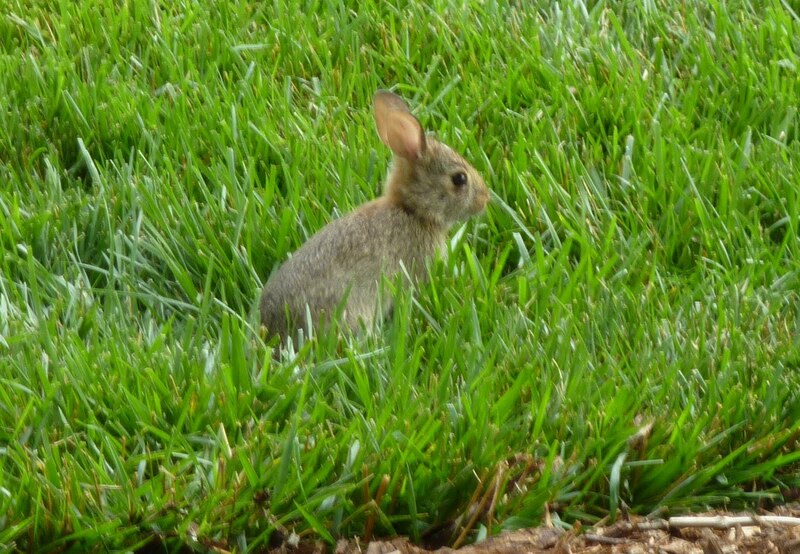 We have a bunny in the demo garden. I suppose it keeps insects out too! We have a bunny because there are holes in the part of the deer fence that we roll back to allow access to compost, so a new gate will be constructed and other repairs made. Then, I hope, we can trap Benjamin and release him somewhere else. Fencing is a critical part of vegetable gardening for most of us – some people are lucky enough not to have to worry about deer, rabbits, groundhogs and other animals (including humans!). Everyone’s animal issues are different, so how to fence is a personal decision based on observation and considering budget. At my house, we’ve been having a running battle against groundhogs (woodchucks) for years, so effective fencing that blocks digging AND climbing (yes, groundhogs climb) is necessary. I think (fingers crossed) we’ve finally managed to make it work – at least, no incursions yet this year. It’s got three components. First, a six-foot black plastic deer fence, this year properly braced and tightened at the corners. Eight to ten feet is recommended for properties with a lot of deer; we have passersby most days but they don’t hang around, and I thought it unlikely they’d jump into a garden crowded with raised beds (they haven’t so far, even when our fence was only four feet tall). Second, a four-foot wire fence fastened to posts. Groundhogs can climb this if they really try, but they can’t balance on top and chew through the deer fence simultaneously. 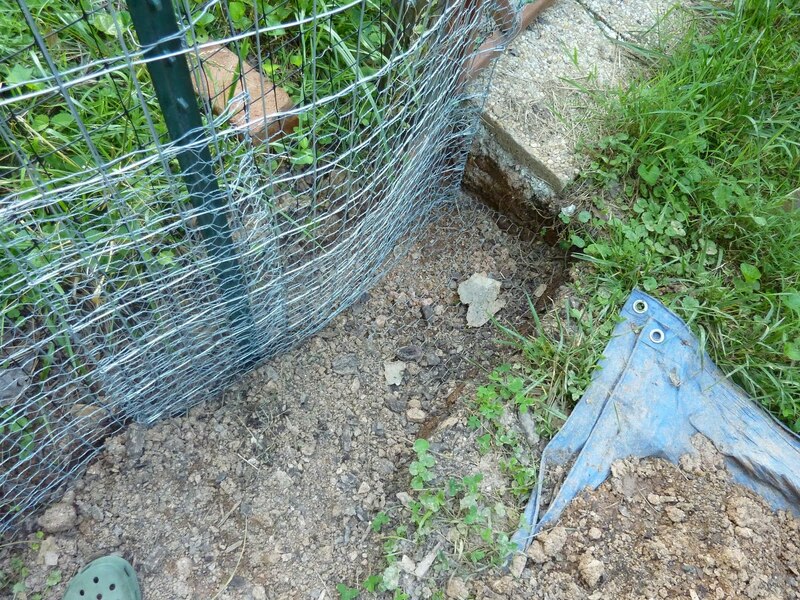 Third, chicken wire fastened to the wire fence and buried almost a foot under the ground with an outward bend, to discourage digging. Hardware cloth would be much better for this task (nod to MG Barbara Knapp who keeps telling me this) but chicken wire is cheaper and my fence line is long. Everything is wired together with no gaps and plenty of redundancy. 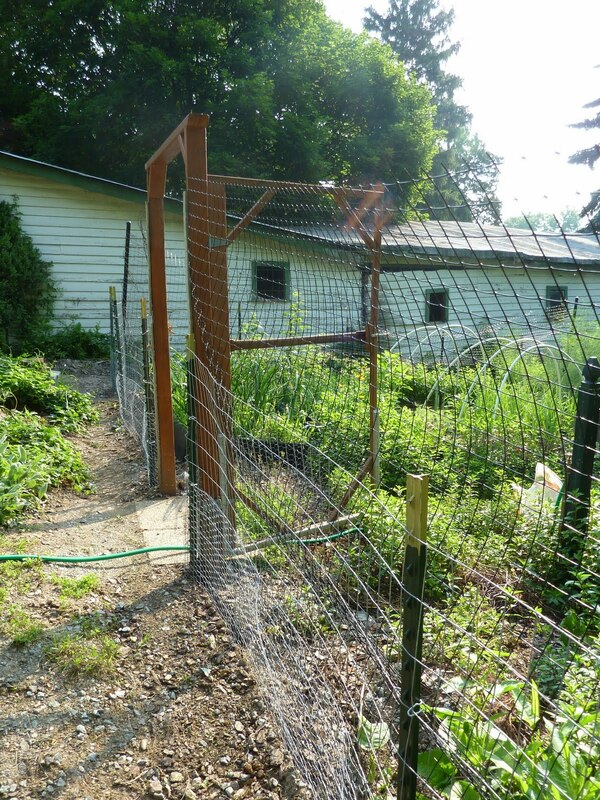 Our last attempt, with only chicken wire and deer fence, failed miserably because the groundhogs would pry apart joints in the chicken wire and either dig or chew their way in. Both gates have paving stone sills to prevent digging underneath. Making it Fort Knox is worth it! As I said, so far so good – hoping I haven’t jinxed myself by writing about it! Your fence may vary! To help figure out what’s the best arrangement for your situation, watch our video Fencing for Your Garden. Take that, that, and that, critters! I'm glad you've won, Erica. Yes, ground hog will gnaw and claw apart even welded wire fencing–and climb over if that's required. Your post is an excellent how-to-do-it story. It's nice to document it from the (so far) successful end, and not the frustrating middle stages! 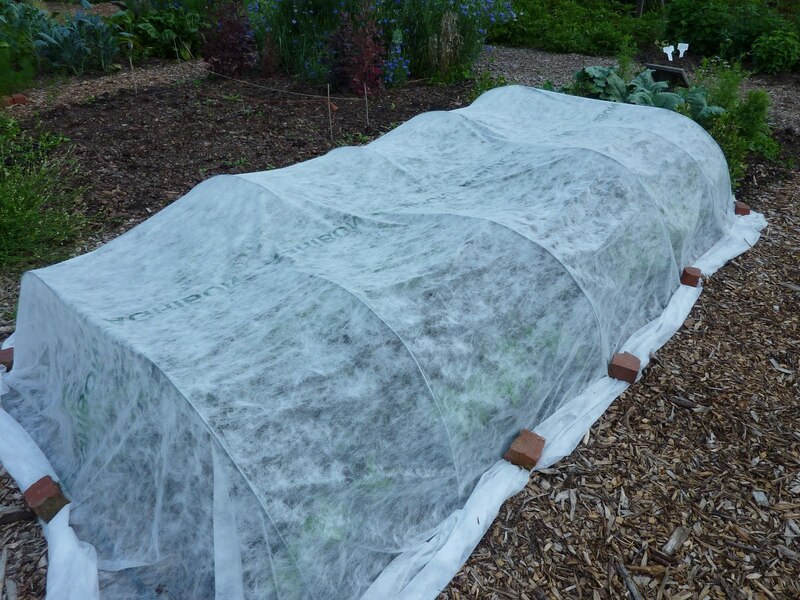 I was very tired of having my produce eaten (and still am, in the demo garden – hope we get our fence fixed soon). That row cover barrier looks great! You're right that we all have our own pests to deal with – mine is the family of raccoons. It's fun to hear from other gardeners around the world whose biggest annoyances are monkeys that come and steal their veggies! I love rabbits (have one as a pet) but I sure am glad I don't have to deal with them where I live. After I've seen how much greens my rabbit can eat, she'd demolish my whole container garden in a couple of days! Wendy, I am so glad we don't have to deal with monkeys!